Should you consider a repo vehicle as your used vehicle? 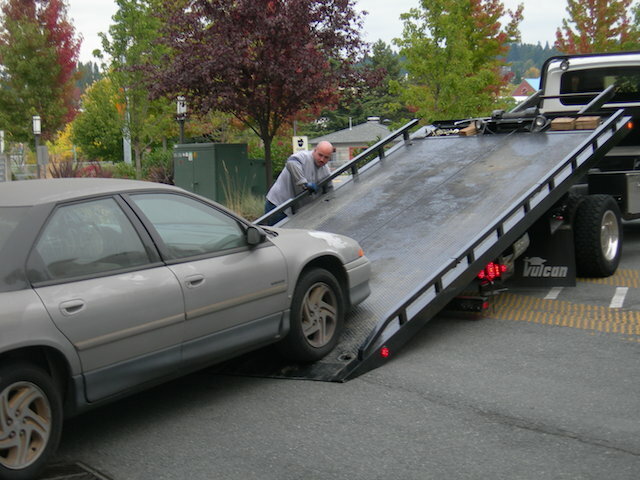 The repo man just paid your neighbor a visit, hooking up his late model sport coupe to the tow truck and pulling away. Your neighbor tried to argue with the driver, but the driver ignored his pleas, shoving a document into his chest before driving off. Unless your neighbor resolves the problem his car will stay impounded until it is sold to a new buyer. Your neighbor’s loss can become your gain, although you might not want to buy his vehicle back if you value his friendship. Instead, there are hundreds if not thousands of cars that enter the market each week, ranging from basic Kias to high-end BMWs. There are a number of ways you can buy a repo including from a lender, a dealer or at auction. The downside is that you may not have the vehicle’s entire repair history to review, perhaps leaving you wondering if the owner let the car go because of unresolved maintenance issues or for some other problem. Also, cars that are repossessed generally are neglected as owners that can’t make loan payments usually won’t keep up with repairs. The company that financed the repossessed vehicle wants to sell it. And they want to stem their losses before they worsen.Clearly, lenders lose money when a car is repossessed. If the vehicle is new and in excellent condition, there may be several people interested in buying it. Lenders may accept bids for the car or set a fixed price and sell it to the first qualified buyer. If you are interested in buying a repo vehicle, get your loan together first. Or, the lender may provide financing if your credit is very good. Perform due diligence by reviewing the car’s repair history and finding out from the lender why the car was repossessed. Some car dealers specialize in buying repossessed cars from banks and auctions, making repairs and detailing them for resale. You will want to avoid any car that was salvaged, meaning that the vehicle was declared a total loss by the insurance company. However, there are different kinds of damages that can give a car a “salvage title” including flood damage, hail damage and theft recovery notes Ronald Montoya writing for Edmunds.com. If you are handy with a car and you don’t mind the risk, then find out as much about the car’s history before moving forward. Many repo vehicles end up at public auction and are made available for sale to the highest bidder. However, these are also the cars that lenders and dealers may let pass by, meaning you need to be extra cautious before placing a bid. First, check the vehicle identification number (VIN) to ensure that you have a match. If the car has been rebuilt, the VIN may not match. Move on if it doesn’t. Second, look carefully at the car. Inspect the car inside and out, and crawl underneath to look for signs of water damage, frame repair and rust. Pull the dipsticks to verify that all fluids are clear. If something looks or smells odd there could be a larger problem lurking within. Third, know the vehicles worth. If it is being sold “as is” then you know that there are problems present. Compare the auction house value with the Kelley Blue Book value. Set your top price and never get pulled into offering more for a car than what you’re willing to pay for it. Your desire to find a repo vehicle bargain should never trump common sense. If you’re not particularly handy with car, this entire process should be left to those that are. Even weekend warriors know that a repo can require much TLC, with their time heavily invested in remaking a loser into a winner.